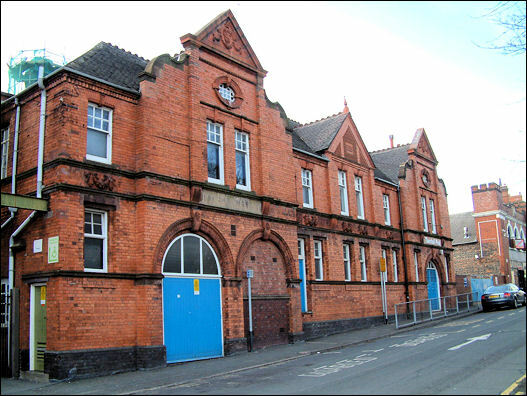 Description: Public Library and public baths, 1889. Brick with stone and terracotta dressings and plain tiled roofs. 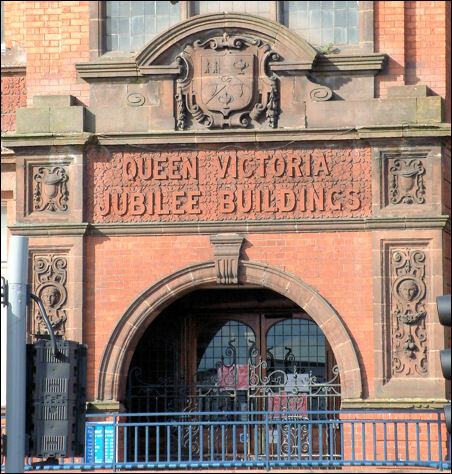 Public Library, formerly Victoria Institute, and public baths, 1889. Brick with stone and terracotta dressings and plain tiled roofs. 3-storeyed, main elevation of 9 bays (4-1-4), with projecting central entrance porch with Jacobean detailing: round arched doorway with frieze in flanking stone pilasters, and coat of arms in shallow segmental pediment. Two large mullioned and transomed windows above, and pedimented gable with arms. Outer bays of banded brick to ground floor, with stone dressings - continuous sills and hood moulds. 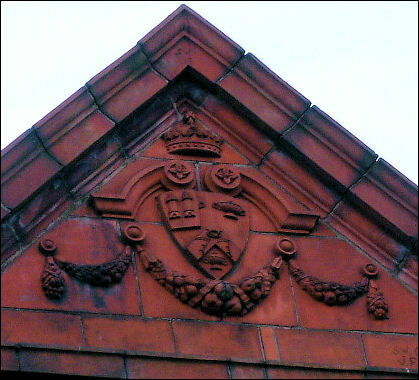 Terracotta frieze over windows reading "Free Library Public Baths. Art and Science Institute". Consoles carry pilasters articulating the first storey, and a projecting cornice beneath round arched arcade of windows in the attic storey. 4 bays to Greengates Street similarly detailed, and a massive hanging wrought-iron sign reading "Thomas Nash Peake gave this AD 1901" and on the obverse. 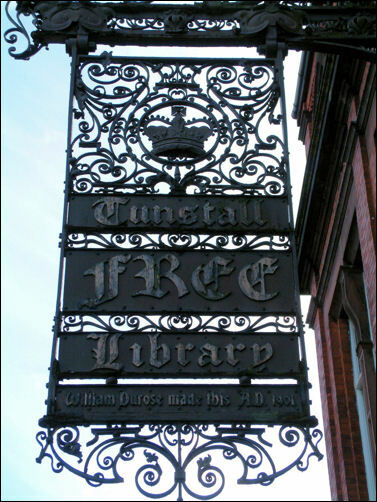 "Tunstall Free Library. 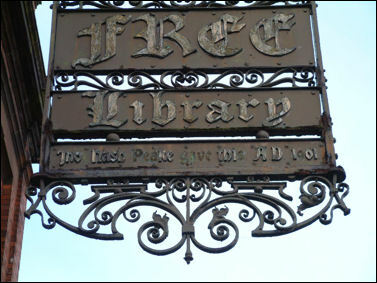 William Durose made this, AD 1901" in gothic script. 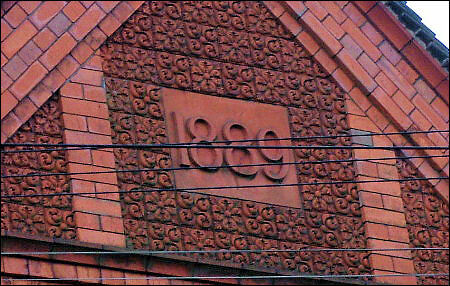 The Public Baths is a 2-storey brick building to Greengates Street, linked to the library via its rear courtyard range. A significant example of the provision of municipal facilities in the late 19th Century. 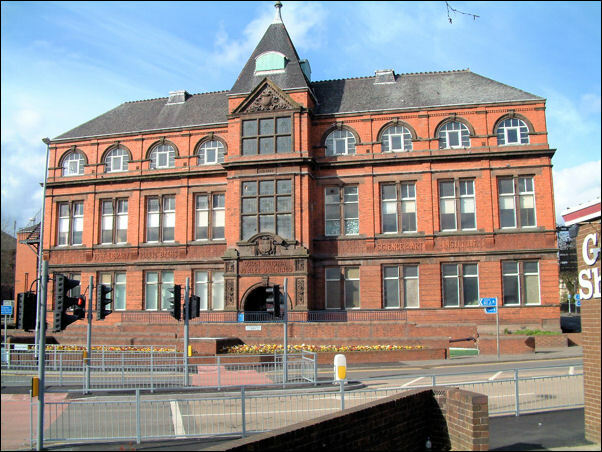 "Tunstall Free Library. William Durose made this, AD 1901"
"Thomas Nash Peake gave this AD 1901"